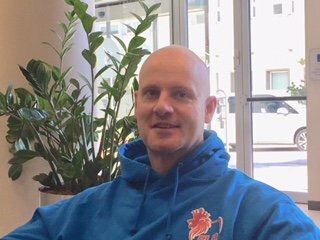 Head Coach of Luxembourg's national rugby team, Jonathan Flynn sat down with RTL to bring us up to speed on the team's progress. The ‘gentle giant’ label is one which is often associated with rugby players. Indeed, the disarming composure displayed by many in post-match interviews, having just annihilated their opponents, seems something of a contradiction. With his deep voice, calm, considered use of words and hulk-like physique, Jonathan Flynn, head coach of Luxembourg’s national rugby team, fits the stereotype. The 6ft Scot sat down with RTL to discuss the state of play in the Grand Duchy. 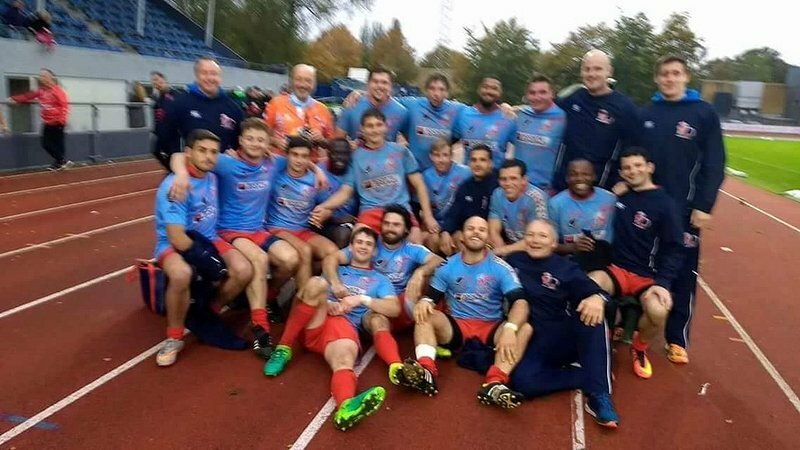 The last five to six years have seen Luxembourg's national rugby team climb quite rapidly up the world rankings from 94 to an impressive 63rd place. Along the way, the team and its management have experienced highs, lows, as well as a few changes. One such change has been the re-structuring of the annual Rugby Europe Championship, in which the national side has been competing since the mid seventies. The competition was re-structured in 2016 from a seven tier to a five tier division format, along with the simultaneous creation of a new North/South Europe pool structure. Prior to these changes, Flynn explains that the time, skill and effort required for a team to transition from one tier to the next was fairly incremental. However, the reduced number of tiers, under the new format, has made promotion to the next level that much tougher. Coinciding with the revised competition format in 2016, Luxembourg was promoted into a new higher division, Conference 1 North pool. The promotion was a memorable event in the team's history. They had worked hard in their existing division during the 2015/2016 season, eventually winning the Grand Slam, beating Serbia, Austria, Denmark and Slovenia. The head coach is clearly proud of the team's achievement in this regard. The last time Luxembourg had achieved this was during the 2004 Grand Slam when Flynn, himself, was a player. 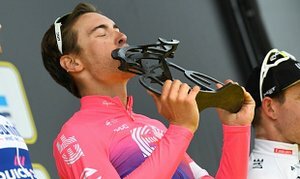 Reflecting on the 2016 win, he is quick to credit the team with the victory, stating, "the players really stepped up and performed". Reality soon set-in, however, at the start of the 2016/2017 season when it became clear just how tough Conference 1 North pool really was. Flynn explains, "We, slightly unfortunately, were placed in the North Europe division, which is a bit tougher, where we play teams which are that bit stronger. Last season, we were placed in pools with teams which were ranked higher than us i.e. Sweden, Czech Republic, Latvia & Lithuania. We lost all four of our matches and dropped down into the lower division, Conference 2 North pool. We're now playing against countries which are a little bit closer to our level. We’ve won our first two games so are currently sitting at the top of our group but we’ve got two tough matches to go. So far, we’ve played against Denmark and Estonia. Denmark were really tough. Estonia were easier as they’ve just been promoted into the pool and so they're just finding their feet a little bit at this level." 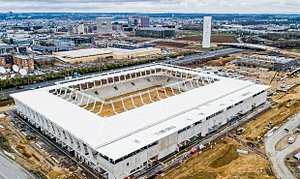 Luxembourg will host Finland at home in April for their next test match and later in the year, the home side will travel to Norway for their last game of the season. In terms of their current pool, the head coach states that Denmark would be perceived as being Luxembourg's strongest opponents. Indeed, they have played Denmark over the years and are familiar with the team. 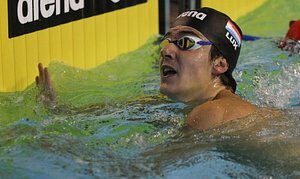 However, he cautiously admits that this may not necessarily be the case and that they will have to wait and see how their remaining pool games play out. So how is Luxembourg perceived as a team by their rivals? Although he says he cannot obviously speak for other teams, Flynn believes that their opponents know that Luxembourg have their own style of play. They are not a big physical team and so they rely on other factors to maintain a competitive advantage. He also believes that they’re seen as a team who know what they’re doing, and are hopefully becoming a national team that other countries don't want to play. 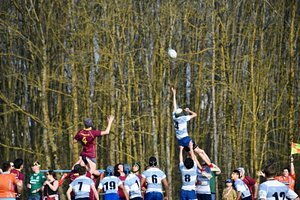 Given the multinational nature of the Grand Duchy, it's, of course, only logical that the national rugby sides, both at junior and senior level, will have a mix of players with different cultural backgrounds. The majority of the team are French but there are Belgian, British, Irish and, of course, Luxembourgish players as well. So what's the gel that holds them together? Flynn admits that, in this regard, they are in, somewhat of, a unique situation. In order to build team spirit, he says it's important that the players either regard Luxembourg as their country of birth or their adopted country. Indeed, a lot of the players are either born in Luxembourg or have grown up here. The most important thing, in his opinion, is to recognise that Luxembourg is the country that has afforded each player the best opportunity to play and compete at international level. Flynn explains that the majority of past and present players, on the national team, wouldn’t have been at the required level to play for a higher ranked country. Since Luxembourg, a Tier 3 country, affords people that opportunity, he believes this has to engender some pride and a sense of responsibility in the players to perform for what is now their country, in sporting terms, alongside 14 other players. 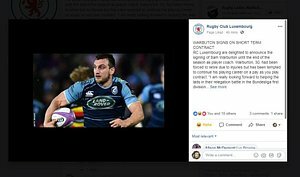 In terms of long-term goals, the team's aim is to get back into the division they were in, in 2016 – Rugby Europe Conference 1, to consolidate at that level, and avoid future relegation. So how do they do that? Flynn explains, "You’d need to have a little bit more structure to the sport in your country. At the moment, there are really only two main rugby clubs which underpin the national team, so realistically, you would be looking to grow that." To put this in perspective, Belgium has upwards of 50 clubs while Scotland, a Six Nations country, has about 120. 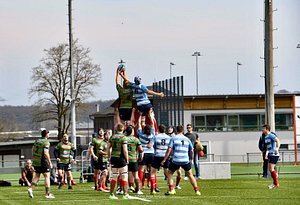 RCL is the oldest rugby club in the Grand Duchy and indeed, it was the only one until the foundation of the Rugby Club of Walferdange in the early 1990s and later, the launch of the CSCE club, a junior club catering for players up to the age of 18. Flynn explains that players from the Under 18 national team become eligible to play for the senior team, once they turn 18. On the topic of selection, he goes on to explain that last year Luxembourg put forward a team at the Rugby Europe Under 20 championship. He had worked with that team as an assistant coach and was therefore familiar with the players. This year, the senior coaching panel selected four or five players from that Under 20 team for the national senior squad, and one or two would now be looking to get capped in the upcoming games this season. Given Luxembourg's diverse population, some players of mixed background can choose which country they wish to play for. Flynn explains that the coaches observe how underage players develop and when they identify those who have the potential and opportunity to play for a higher tiered country at senior level, they do not discourage them from doing so. Indeed, they would avoid capping such players on the Luxembourg senior squad, since, due to eligibility restrictions, this would preclude the players from playing for a higher tiered country at a later stage. Luxembourg has lost one or two players this way but Flynn concurs that it makes perfect sense for the players to make the move, although, of course, the management team would love to retain them, if they could. Additionally, due to the nature and size of Luxembourg and the, sometimes limited, opportunities for study which it offers, the senior team is also heavily affected by younger players who end up leaving Luxembourg to study abroad. Despite all these challenges, we ask the head coach how he's finding the role, since taking over from New Zealand's Marty Davis in October 2015. He offers that he is continuing his own development and growth and has learned a lot in the role, though he "hasn’t hugely changed his philosophy on how the game should be played". Assisted by two volunteer coaches as well as a team manager, he says he has certainly learned a lot from other people and is continuing to do so. As a coach, Flynn first looks for some type of physical ability in a player. It might be speed, strength, size but something to set them apart, “though he’s not necessarily looking for the biggest guy”. Secondly, he wants a player who can see what the coaches are trying to achieve and someone who understands the purpose of a training exercise. Lastly, he looks for someone who can listen and learn, which he believes are the most important attributes of all. That said, he also knows that it's important for the coaches to listen and collaborate with players, and maintain an open dialogue. What he sees as a positive development in the sport is that fact that the rules are now being adapted to prevent serious injury and protect players e.g. no spear tackles and the scrum at youth level is now heavily modified, so that the risk of spinal injury is very much reduced. As the Six Nations draws to a close, we ask the Scotsman for his thoughts on this year's tournament. He concurs that Ireland looked strong throughout and sees them as a very complete team. He credits Scotland’s resurgence this year to improved overall club performance in the country, which has been improving in the last few years, particularly the Glasgow Warriors, who now form the core of the Scottish national squad. He says the Scottish clubs have become more competitive and there is also a good generation of players in Scotland at the moment, allied with some top coaches both at national and club level. He believes they’ve made a difference and as a result, the players have gained confidence and are playing well. Finally, we ask Flynn what he loves about rugby. Thoughtfully, he says, "Anyone can play it, not at the top level and you definitely have to be bigger and stronger to play at the top level but anyone can play it. It's a very complete game in terms of skills, requirements and attributes." He doesn't necessarily see it as being more of a psychological game than other sports but he does admit that "to get to a good level, players do have to have some game intelligence and game sense, because they need to be able to make decisions with and without the ball. It's a game that challenges people mentally as well as physically." 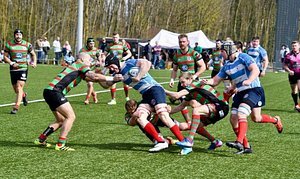 The Luxembourg national rugby team take on Finland at Stade Josy Barthel on April 14.